﻿ Block Machine Factory, Company, Manufacturers - QUNFENG INTELLIGENT MACHINERY CO.,LTD. With more than 20 years persistent way, combining the profundity connotation with the high technology, QUNFENG INTELLIGENT MACHINERY CO.,LTD. has created the miracle of the block making machine manufacturers with the unlimited potential. And become the best-selected supplier of the customers from Asia, America, Europe and Africa, which become the exporting nonesuch of the Chinese Block Machine manufacturers. Up still now, with best industry image and “qunfeng Solicitude” service, qunfeng has fabricated the “qunfeng block machine-making international family” for almost 8000 clients from 108 countries in the world as well as realized the management philosophy of “share with clients, the field and the world”. The leading position of market share in both domestic and international markets, advanced R&D and innovation capability in the block making machine industry and reliance by our clients over the world——all these fully prove our comprehensive strength. Awarded as " AAA Quality Credit Grade of China Enterprises". Awarded as " China Torch Program and Industry Demonstration Project"
Over 7,000 clients from 108 countries and regions use our products. Factory extend to 200,000sqm with 1,000 sets order annually. Qunfeng new factory occupied 186,000㎡with 320million gross investment. 65% of our order is from abroad-----Africa,Asia,Europe,America,Oceania. 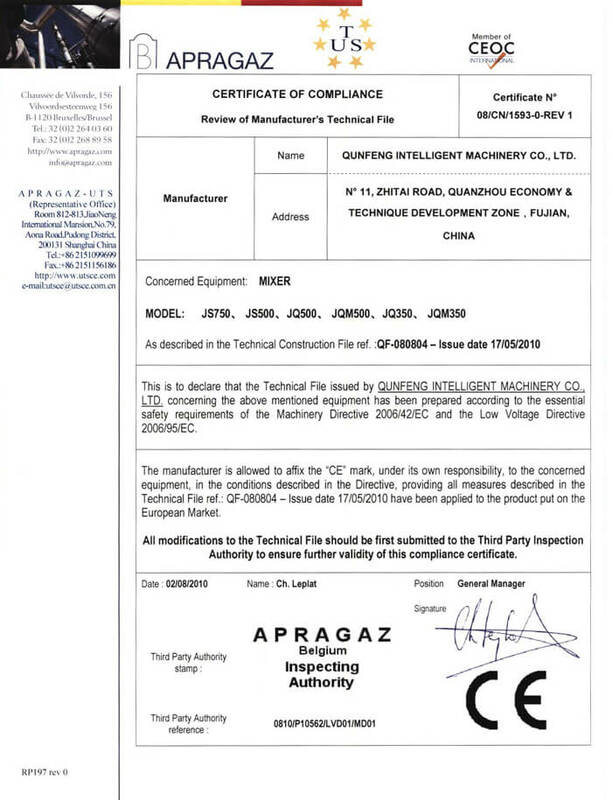 Change name as Qunfeng Intelligent Machinery Co.,Ltd. Awarded as "Renowned brand in Fujian". Awarded as "provincial innovation enterprise of Fujian Province". China biggest capacity QFT18-20 block making machine success in testing and putting in quantity production. 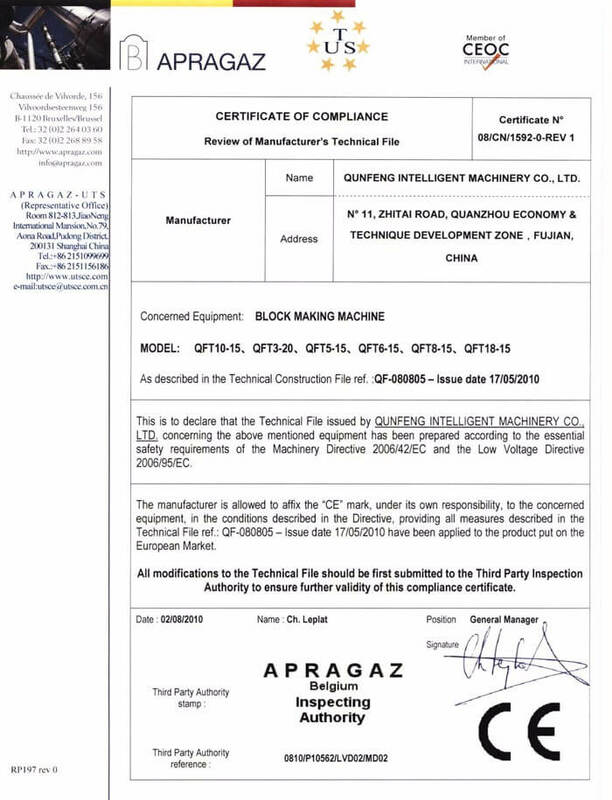 Qunfeng passed the "GB/28001 Occupational Health & Safty Management System". And was titled as "Satisfied Products of Fujian". Awarded as "engineering and technological research center of Quanzhou City". Qunfeng was titled as "New and High Tech Enterprise". Qunfeng was titled as "Fujian Famous Mark" and "Fujian Famousbrand Products". 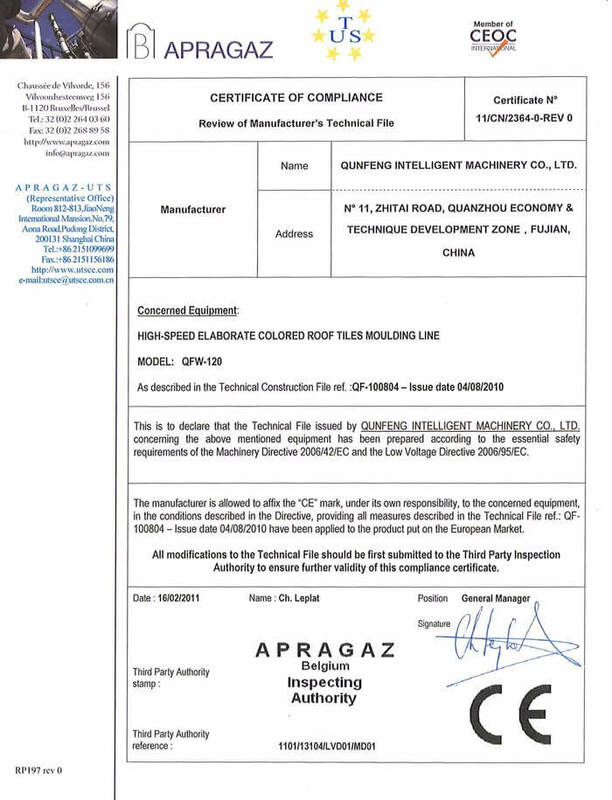 Qunfeng passed ISO14001 International Environment Management System Certification. Awarded as "National Inspection-free Products". Awarded as"patent pilot enterprise of enterprises and institutions in Quanzhou". Qunfeng used new logo and introduced CIS Identification System. 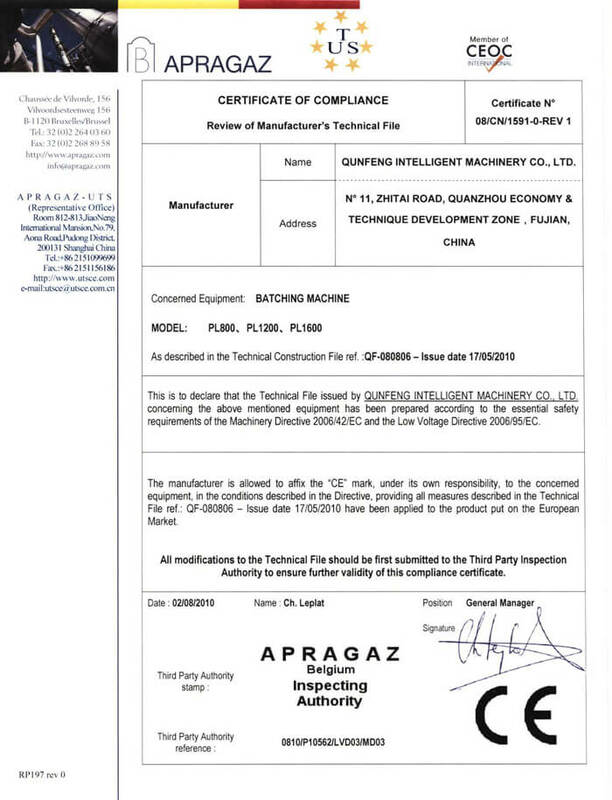 As the first enterprise that gained CE Certification in the industry and the equipment entered European market. Qunfeng gained autonomy of business export. Qunfeng moved to New factory in Quanzhou Economy & Technique Development Zone. Passed ISO9001 quality management system certification. The first fully automatic production line was exported to Oman. In the same year, the second line was exported to Qatar. Model QFT10-15 Block Making Machine was researched and developed. Qunfeng exported the first machine to Africa. The first semi-automatic production line was put into use in Shandong. Qunfeng drafted the New standard for Concrete Paving Stone. Model QFT8-15 Block Making Machine was researched and developed. Model QFW-120 High-speed Elaborate Colored Tiles Mould Line was researched and developed, which reached international advanced level with detection by experts. Concrete Roof Tile Loading Capacity Testing Machine was developed, which filled up a gap at domestic and obtained national patent for utility model. Qunfeng was titled as "Fujian Science and Technology Enterprise". Qunfeng was responsible to draft out the new standard of concrete paving stone. Model QFT5-15 Block Making Machine was researched and developed. Model YX-2000S/3000S Multi-function Forming Machine was researched and developed, which obtained national patent for utility model. Extruding Color Cement Tiles production line was researched and developed. And Qunfeng took part in the draft of new standard of concrete tile industry. Model QFT4-15 Block Making Machine and Mobile-type Concrete Curb Forming Machine were researched and developed. 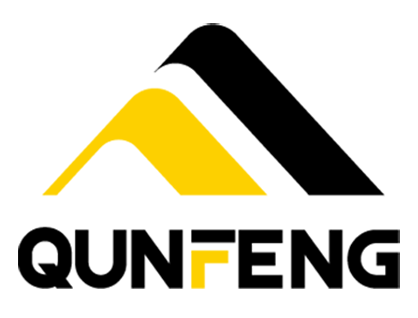 Officially erect into "Quanzhou Qunfeng Machinery Manufacture Co.,Ltd." Model HF1500 and Model HF1500K Paving Stone Forming Machines were researched and developed.